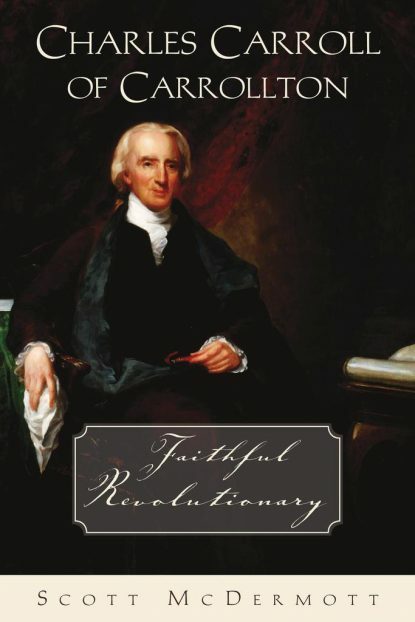 The cover of “Charles Carroll of Carrollton, Faithful Revolutionary” by Scott McDermott. Scepter Press (Cleveland, Ohio, 2002). 352 pp., $16.95. Scott McDermott, assistant professor of history at Albany State University in Georgia, provided the following commentary to Catholic News Service. As the country approaches the Fourth of July, he looks at what U.S. Catholics might learn today from the only Catholic signer of the Declaration of Independence. Carroll and his cousin, Archbishop John Carroll of Baltimore, were largely responsible for Catholics obtaining freedom of worship in America. This would have been impossible had they not cultivated political alliances with sympathetic Protestants. Today, it is hard to imagine how Catholics could effectively promote a culture of life without the support of like-minded Protestants, Jews and Muslims. The Catholic political tradition has always recognized that the natural law — the law of God for human beings — implies the existence of the natural rights to life, liberty and property. Today, when the state has the extraordinary power of modern technology at its disposal, it becomes even more important to defend the natural and civil rights of individuals. However, the tradition also holds that the common good of the whole people is the object of politics, and this must not be forgotten. Carroll was fond of quoting Cicero’s maxim “salus populi suprema lex” — the well-being of the people is the supreme law. We should apply this Catholic precept to modern-day debates, for example over the meaning of the Second Amendment. My mother was a Wilmer and her ancestors moved to Kent County Maryland in 1647 or thereabouts, I have in a cabinet in my living room with the altar missal of the Carrols along with many relics from Mother Katherine Drexel. Her hair and sleeve from her blouse on the day of her reception into the Community in Pittsburgh. I have a special affection for Archbishop Carrol who used this missal when visiting his cousin’s house. I love to read the Latin Canonical directives on the celebration of the Mass like what to do if the wine freezes before the consecration. Medieval Churches were freezing in Northern Europe. The Canons had an answer to everything that could possibly happen before Mass. And the Carol Missal has an answer for everything. Interesting article, but the headline is incorrect that Charles Carroll was TE only Catholic founding father. His cousin, Daniel Carroll was also a Catholic and he signed the Constitution, as did Thomas Fitzsimons of Philadelphia who also was Catholic. Fitzsimons was elected to the first House of Representatives where he founded the Ways and Means Committee and served as its first Chair. His participation was remarkable since Catholics were prohibited from voting in Pennsylvania until the 1820s. Thank you Mr. Meehan, while the role of John Carroll was very impressive, the role of Catholics especially in the Revolutionary Army and in local political roles at the time is often understated. No Catholic officers in the Colonial Army and the Revolution would have failed.